Twitter login or signup script is also a one of the simple way to make people register in your website very simple. most of the twitter login scripts are not providing email. but here we are fetching email address also in this script. 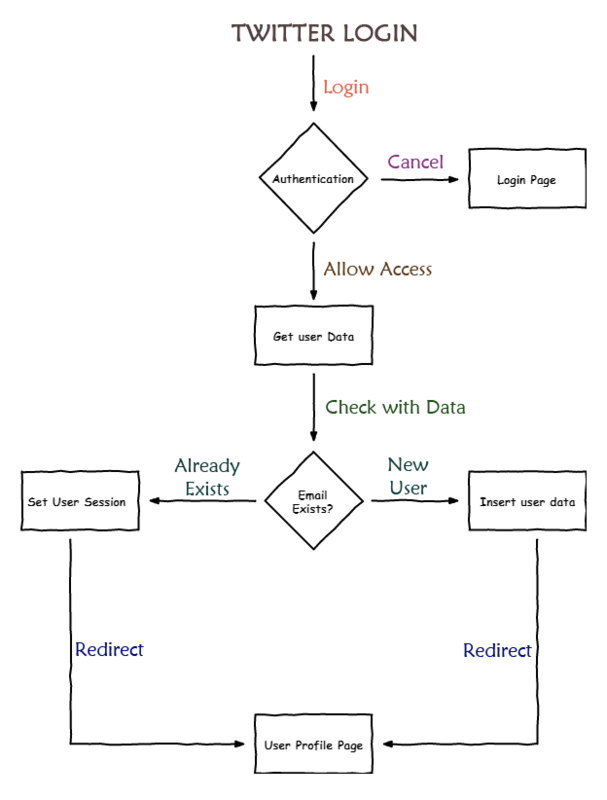 and also we are going check exists users in mysql database. lets see the code and work flow and script installation process. 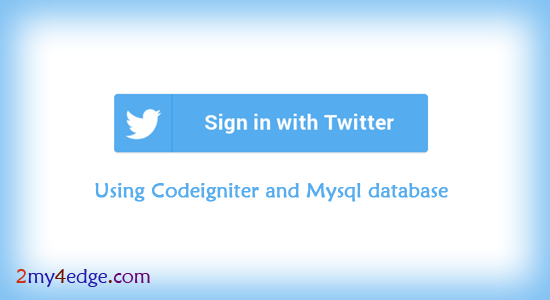 STEP 2 : We have to mention callback url while creating twitter login app. STEP 3 : Config your codeigniter in localhost or server. then configure it. like autoload, config, database files etc. STEP 4 : Add twitter.php file application->config folder. STEP 5 : Change your consumerid and consumersecrect key and redirect url as you given in app creation. STEP 6 : Add twitter library files in application -> libraries folder. PROFILE.PHP is to show fetched data from database. LOGIN.PHP / WELCOME_MESSAGE.PHP is login link page. Hope you liked this post, this might be very helpful to make twitter login easy with fetch email also. for video demo or installation check this link. Thank you.